This year has been a year of many firsts, and Father’s Day has added to the list. This year, I had to mail my father his gift because I am outside of driving distance to go home for Father’s day lunch. While this can be difficult, it is because of some good changes that have taken place. Just a few weeks ago, I was the luckiest girl in the world because I was fortunate enough to have my father walk me down the aisle. Although he was giving me away, it was one of the most special moments in my life because the man who has shown me what it truly means to be a great father, loving and selfless, also stands there as an example of how a husband should love his wife and how a father should love his daughter. These are examples Michael and I are grateful for and hope to someday live up to. That same day, Michael’s father stood there providing the same example. As Michael and I said I do, we each gained another Father figure. We could not be more blessed by such great men. So this Father’s day, while it was tough not hand delivering a gift, I was able to mail two! I am now proud to call Pat McVay my father-in-law. I know it is rare, and we are beyond thankful to have two fathers to look up to, take advice, and try the rest of our lives to even compare. And of course, it is a first for Michael and Pippa too as they were able to celebrate Father’s Day together for the first year! I can honestly say that, although it may be a way’s off in our future, I know Michael will make a wonderful father. He provides a small glimpse of this in the way he fathers our Pippa. 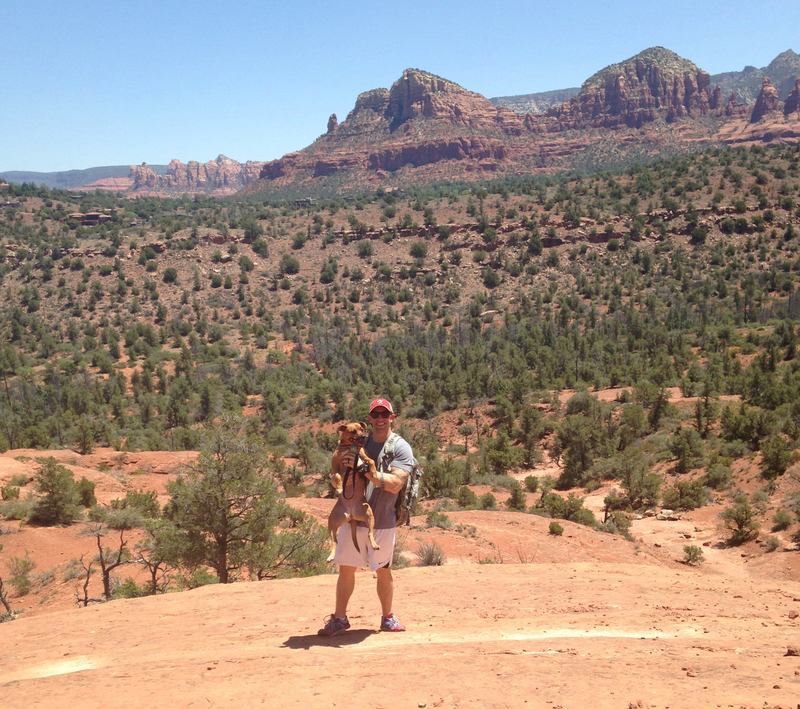 This weekend we celebrated as a family, hiking in Sedona. Loved this! It brought tears to my eyes, it was so sweet!